Silone made some mollifying remarks and claimed to be mystified by the outburst, but he was probably bluffing. Taciturn and even morose by inclination, and an uncharismatic speaker, he had the satisfaction of having just bested the loquacious Koestler in their public discussion about policy, while Koestler’s volubility reflected his own frustration at having lost the argument. The dispute had been about how best to respond to Soviet propaganda. Koestler advocated fighting fire with fire and carrying the propaganda war to the enemy by means of radio stations beamed at the satellite countries and the publication of books, magazines, and newspapers aimed at the Soviet bloc. Silone urged a less confrontational policy of promoting social and political reforms at home and merely showcasing Western cultural achievements abroad, so as to teach by example. Their differences reflected a gathering split in the anti-communist left in Europe (and to a lesser extent in America) that would persist for the next twentyfive years. The question was how to straddle the divisions between left and right in the West in opposing Soviet expansionism and the political pressure from the East. Koestler maintained that progressives should hold their noses (if need be) and join an alliance between left and right to fight the greater evil of Stalinism. Silone, out of an instinctive anti-Americanism and lingering nostalgia for his communist past, disagreed. 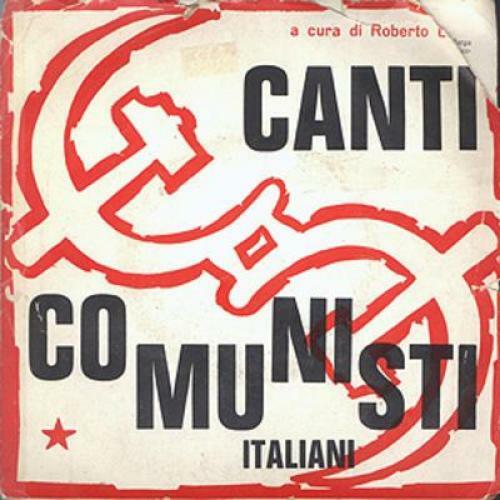 In his native region of Italy, he argued, “half the Abruzzi peasants” were communists and the other half were not, but since both were “fighting against Prince Torlonia,” you could not ask the non-communists to oppose the communists. (Prince Torlonia was the largest landowner and political leader of the region where Silone spent his childhood.) Stalinism and the threat that it posed was trumped, for Silone, by the more ancient struggle between the left and the right in Europe, and the left could never accept an alliance with reactionary forces. Silone was born in 1900 in a part of southeastern Italy known as the Abruzzo, a land of howling wolves and rugged mountains, in Pugliese’s words, and of “saints and stonecutters,” in Silone’s. In the years of Silone’s youth it was still a remote and benighted region, dominated by a small and powerful aristocracy (led by Prince Torlonia) and populated for the most part by cafoni, downtrodden peasants barely able to read or write or eke out a living from the unforgiving soil. Silone, born Secondo Tranquilli, was the son of a small landowner, and so not quite a peasant himself, but he identified with the cafoni out of sympathy for their poverty, and as the result of a difficult and haunted childhood. By the age of eleven he had seen four brothers and sisters die of illness (an older sister had perished before he was born), and in his twelfth year he saw his struggling father die, too. His impoverished mother, left with two sons to care for, tried to make a living as a weaver, but she herself perished, in 1915, in a terrible earthquake that leveled the family’s hometown of Pescina and devastated the entire region, killing over thirty thousand people and leaving Secondo, who was fourteen, and his younger brother Romolo, who was eleven, to be raised by their maternal grandmother. Pugliese describes the earthquake as having inflicted a trauma on Silone comparable to the shock inflicted on Dostoyevsky by his pretended execution. The young boy never forgot the sight of his dead mother being pulled from the ruins of their toppled house, and he associated it in his mind with the sufferings of the poor peasants around him. Observing the vast divide between the luxurious lives of the aristocracy and the bitter struggle for survival of the cafoni in and around Pescina, and influenced by “burning rage against all forms of injustice inherited from his father,” he developed socialist leanings early. Later, after arriving at a school in Rome to continue his education, and confronted by the greed and corruption fostered by the distribution of earthquake relief, he joined the Young Socialists, rising quickly to become their leader. In 1921, he became a founding member of the clandestine Italian Communist Party. A year later the still-young Tranquilli entered into what was to become the defining struggle of his life, against the Italian fascist regime led by Benito Mussolini, which affected his future in two important ways. First, he was obliged to spend a great deal of time traveling abroad in Spain, Germany, France, and the Soviet Union on party work, an uncomfortable arrangement for a patriot as attached to the soil as he was. Second, he had to master the art of secrecy, taking on a baffling and ever-changing array of party aliases— over a dozen, according to Pugliese— including the one that later stuck, Ignazio Silone, which he adopted in 1923 while languishing in a Spanish jail. Secrecy became a passion for Silone, along with its necessary corollary, the ability to keep silent. This was evident in a turning point in his career during a visit to Moscow in 1927. Both he and Palmiro Togliatti, who were together leading an Italian delegation to a meeting of the Communist International, refused to sign a resolution expelling Leon Trotsky from the party without being allowed to read the document that supposedly incriminated him. Trotsky was expelled anyway by a resolution that was claimed to be “unanimous.” Togliatti made his peace with the Soviet leaders, and later became the head of the Italian Communist Party, but Silone kept silent, while gradually becoming alienated from his comrades. At the end of the 1920s, having contracted tuberculosis and fallen into a severe depression, he hid his increasing alienation from the Communist Party by moving to a clinic in Davos, Switzerland; but in the summer of 1931 he was expelled from the party anyway for his failure to support the party line. It was during his illness and convalescence in Switzerland that, without any formal experience in fiction, Silone wrote his first and most famous novel, Fontamara, a work of polemical social realism that bore witness to his homesickness for his beloved Abruzzo and the peasant community that he had left behind. Its hero, he later said, was not so much an individual as “the rural proletariat, the eternally suffering peasants,” although the novel tells their story through the rebellion of a single peasant, Barbera Viola, against the new fascist regime and his transformation into a fledgling revolutionary. Viola is ultimately arrested, tortured, and brought to his death in a fascist jail—an emblem of the fate of the cafoni under fascism. Fontamara appeared first in German in 1933, and was quickly translated into twenty-seven languages, turning its author into an international celebrity. But the novel could not be published in Silone’s native Italy, because of his communist and anti-fascist reputation. He soon followed it with another novel set in the Abruzzo, Bread and Wine. It told the story of Pietro Spina, a communist who returns to his native region to judge the prospects for revolution. Spina is a much more self-conscious and intellectual hero than Viola. The hero of Fontamara had still embodied the revolutionary zeal of Silone’s youth, but the hero of Bread and Wine ends up disillusioned and disgusted with the party that inspired him. Pugliese notes that Bread and Wine is considered by many to be Silone’s finest novel. It is more discursive than Fontamara, but also a more mature work of ideas—a reflection in fiction on the dilemma of ends and means that tortured so many intellectuals in the twentieth century. A third novel, The Seed Beneath the Snow, completed in 1940, constitutes the last in what Silone considered a trilogy. It continues the tale of Spina, who goes willingly to his death at the hands of the fascists for the sake of personal loyalty to his former comrades. There can be little doubt that Silone had put his finger on one of the prime reasons why fascism flourished in so much of “civilized” Europe—it expressed an almost irresistible atavism, which was why it remained the chief ideological and political enemy for Silone even after his break with communism (for Koestler it was the other way around). Silone evidently feared fascism’s pull precisely because of its great appeal to “the masses,” who were dangerously vulnerable to unreason and brutality. But while the argument that fascism had “contaminated” its opponents may have some truth to it, the implication that fascism somehow pre-dated—and was more innocent than—communism is false. Both, in their modern form, arose from the ashes of World War I at approximately the same time. But Silone was not yet prepared to equate the two, and he could never quite bring himself to do so. One of the charges he was to level against Koestler and likeminded anti-communists was that they were too inclined to use the same methods as their opponents to achieve their goals. The equivalent charge against Silone (and many other ex-communist intellectuals) has to be that they hid behind their hatred for fascism and soft-pedaled their criticisms of communism. Silone’s was a particularly complex and ambiguous and tortured case. During World War II, for example, after he had rejoined the Italian Socialist Party and become chief of its foreign office in exile, he was contacted by Allen Dulles of the American Office of Strategic Services (the OSS was the predecessor of the CIA), and became a conduit for passing money and information between the Americans and members of the Italian resistance, and for keeping an eye on the communists in the resistance. This prompted the adoption of more aliases, and Silone was so successful at concealing his true position that he wound up in a Swiss jail on suspicion that he was still a communist. As it happens, his relationship with the OSS caused him to soften his earlier hostility to capitalist America, but he maintained his left-wing principles and continued to insist to the Americans that after the war, even though Italy would be occupied as an enemy power, its people should be allowed to hold free elections and decide on their own form of government, which he was convinced would be a socialist one. By war’s end, Silone was also, at last, prepared to make his twenty-year-old break with the Communist Party explicit and public. He did so in “Emergency Exit,” his contribution to The God That Failed, a remarkable volume of testimony by ex-communists conceived and edited by Arthur Koestler and Richard Crossman. The essay included a lot about Prince Torlonia and the Abruzzo cafoni, but what got Silone into trouble was his revelation about visiting Moscow in 1927 and refusing to sign the resolution condemning Trotsky. This was his first public mention of it, and Trotsky’s widow published a scathing letter accusing him of moral cowardice for waiting twenty-two years to reveal the truth about the infamous and supposedly “unanimous” resolution. Meanwhile Silone was back in postwar Italy and served as a Socialist deputy from 1946 to 1948, when he played a leading role in preventing an alliance between the Socialist and Communist parties. He also published two more novels, A Handful of Blackberries and The Secret of Luca, in which his estrangement from communism became a major theme. Pugliese notes that the story of Silone’s zigzag path into socialism, and then from socialism into communism and back to socialism again, is complicated by his many omissions and silences, and his selfevident penchant for myth-making; unfortunately these attributes seem to have contributed to the chaos in Pugliese’s baffling book. Pugliese is determined not to write a conventional, chronological biography, and not to seem “omniscient” or overbearing, but he ties himself in such knots to avoid the pitfalls he fears that he falls into the opposite trap of repeatedly losing his way in his own narrative, which in many respects is rambling and unfocused to the point of incoherence. He aims to treat Silone’s life thematically, slicing it up into chapters on Silone and the Communist Party, Silone’s writing and exile, Silone and post-fascism, Silone and cold war culture, and so on, but although he has interesting things to say about all these topics, his disregard for chronology or coherence leads him to repeat facts, dates, and anecdotes over and over again to fit each new context, leading the reader’s eyes to glaze over and his mind to wander. This is something of an achievement in a biography of a figure as riveting as Silone. Silone still awaits a proper biography in English, but for those who already know something of his life and work, Pugliese is worth wading into. His analysis of Silone’s ideas on fascism, and his account of the geopolitical intricacies of the postwar settlement in Europe—along with Silone’s complicated maneuvers between the parties, and his ambivalent attempts to become a politician—is very skillfully done. Pugliese shows why Silone, despite his refusal to allow the Italian Socialist Party to collaborate with the communists, found it so hard to engage in the kind of ideological warfare that Koestler advocated. In his essay for The God That Failed, Silone emphasized that his expulsion from the party had been “a very sad day for me, a day of mourning, of mourning for my youth.” He never forgot the communist idealism of his early days and his affection for his comrades, even when he was forced to acknowledge the infernal corruption of the party machine. After the war, Silone seemed unable to commit himself completely to any political program and increasingly held himself aloof from political life. Interestingly, he also disdained the easy antifascism that was popular in Italy at the time. To be “anti” only sustained the illusion that the fascists were still powerful enough to be worth opposing. Silone turned instead to Europe, having concluded as early as 1946 that remaking Europe was even more important than remaking its individual countries. “The unification of Europe is the fundamental political task of our generation,” he declared. “If we do not solve this problem our generation can consider itself an historic failure.” The following year, as president of the PEN Center in Italy, he spoke at an international PEN conference in Basel on “The Dignity of Intelligence and the Unworthiness of Intellectuals,” pointing to the unique responsibility that intellectuals bore toward society, and to the inability of most of them, including himself, to rise to the challenge. In 1949, at another PEN conference, he admonished writers and intellectuals not to submit to the power of the state, or to become “vassals” of those in power anywhere. And demonstrating again his perpetual drive for evenhandedness, he charged them to resist “the corruption of the mass media” in the West. It was natural in these circumstances for Silone to reach out to European writers like himself. He was part of the generation of the 1930s that took it for granted that writers should also be men of action, and as in the cases of many of his fellow writers, it cost him many years in exile. He and Koestler had first met in fact in communist literary circles in Switzerland before the war, and then again in Rome in 1948, soon after the success of Koestler’s masterpiece Darkness at Noon. Koestler, who agreed with Silone about Europe and the political direction it should take, had come fresh from meetings in Paris with Sartre, Camus, and Malraux, and their discussions of what to do about Europe. Silone knew the French writers through his own frequent visits to Paris and contributions to Sartre’s Les Temps Modernes and other French journals. All of them—Silone, Koestler, Camus, Sartre, Malraux—had been with the Communist Party at one time or another, and all of them were preoccupied with the prospects for socialism and supported the concept of a united continent. Indeed, for a brief time in the late 1940s, it looked as if they might all line up behind a common concept of Europe as free, united, anticommunist, and social democratic. The concept was shared by the American liberals who had successfully established the Marshall Plan for Western Europe and helped to organize the Congress for Cultural Freedom conference in 1950, but the moment for unity—or, at least, a unity that included America— soon passed. None of the three French writers attended the Berlin conference, though Camus and Malraux sent messages of support. Malraux, like Koestler, was ready to accept America’s leading role in Europe, and to make a pact of convenience with the political right (he eventually joined de Gaulle’s government as minister of information), convinced that it was the only realistic way to oppose communism. Sartre, steadfastly anti-capitalist and anti-American, briefly tried to find a “third way” between the two blocs, but moved leftward to become an apologist for Stalinism. Camus, who was closest to both Silone and Koestler, bitterly opposed Sartre’s defense of the Soviet Union and clung to a sort of third way of his own; and though Silone parted company from Camus over decolonization and the war in Algeria, he fully supported him in his disputation with Sartre. In Berlin, Silone had the satisfaction of prevailing in his argument with Koestler that the West should devote itself to cultural and political self-improvement and make the competition with the Soviet bloc peaceful rather than confrontational, and his influence on the organizers of the conference within the CIA turned out to be crucial. One outcome of his preferred policy was the Congress for Cultural Freedom’s eventual decision to found a stable of literary magazines in Europe and Asia to showcase the cultural richness of the free countries. It was only natural that Silone should become co-editor of a new Italian journal, Tempo Presente, similar to sister journals such as Encounter in Britain, Preuves in France, and Der Monat in West Germany. Silone proved to be an excellent editor: cosmopolitan, sophisticated about literature, and politically astute— though not astute enough (as the more cynical Koestler was) to spot the hidden hand of the CIA behind the CCF. In the inflamed context of postwar Italy, however, where a portion of the intelligentsia was still on the defensive about its collaboration with Mussolini and another portion consisted of communists and fellow travelers (and the two camps, for obvious reasons, overlapped), the appearance of such an easy target was hard to resist. Silone was not helped at this juncture by his reputation for stubbornness and his penchant for secrecy. The Polish writer Gustav Herling, a frequent contributor to Tempo Presente and a close friend of Silone’s, once described him as “truly a man who did not speak much and who knew how to keep a secret,” and even Silone’s second wife and literary collaborator Darina Silone described his character as “difficult” and his personality as “very complex.” No one, she added, “ever knew him completely,” voicing an insight that was to attain new relevance after Silone’s death. Silone’s posthumous reputation seemed entirely safe, but the taciturn, introverted survivor of the Abruzzo earthquake had one last secret up his sleeve. It was revealed in 1996, when an Italian historian caused a sensation when he accused Silone of having spied for the fascist police between the wars. The evidence was to be found in a series of letters signed by a certain "Silvestri” to Guido Bellone, a high-ranking fascist police official in Rome, which the historian had unearthed in the government archives. Pugliese devotes his best and most gripping chapter to a detailed account of the controversy that divided Italian public opinion over whether the letters were genuine or not. Silone’s supporters maintained that they were forgeries, whereas his opponents held that the handwriting was undoubtedly Silone’s. Moreover, the key document in the collection, an emotional appeal to Bellone to release the writer from their arrangement, dating from 1930, appeared to suggest a collaboration that had lasted over ten years. Somewhat hyperbolically, Pugliese compares the fallout from these heated allegations to the impact of the Dreyfus affair in France. Members of the pro-Silone camp pointed to numerous inconsistencies and weaknesses in the evidence: there were surprisingly few letters to account for a whole decade; no other high-ranking fascist seems to have known about the letters, and no fascists had ever used the information that Silone was a spy, even when they could have destroyed him with it; and there was no conclusive evidence— other than the handwriting—that “Silvestri” was Silone. A senior Communist Party official took another tack, alleging that Silone had actually been a triple agent, having pretended to spy on party members so he could winkle information from the fascist police that would be useful to his communist comrades. This would account for the fact that another bitter enemy of Silone’s, Palmiro Togliatti, did not denounce him when, as minister of justice after the war, he had access to these files. The balance of informed opinion swung against Silone. Further documents were unearthed to show that Silone had a good reason for approaching the police two years before writing his incriminating letter: in 1928, his beloved younger brother Romolo had been arrested and tortured in jail (where he died two years later) on suspicion of being a member of the Communist Party (which he wasn’t). Commentators speculated that Silone, who was an active member of the party, must have been racked with guilt over this injustice, and was probably prepared to do anything to get his brother out. This still left open the question of whether he had been in contact with Bellone much earlier, and whether, as further documents suggested, he had acted as an informer when in Switzerland between the wars. There was even specula- tion that Silone had secretly “confessed” his crimes in one or other of his novels or in his first play, aptly entitled And He Hid Himself. But none of these details seemed important beside the enormity of the fact of his collaboration. Pugliese catalogs the many books, articles, and debates that have poured forth since these revelations in painstaking and fascinating detail, and he is forced to conclude (as Silone’s widow, Darina, also concluded) that at least some of the documents are provably in Silone’s handwriting and therefore genuine. But what does the collaboration mean for our understanding of Silone’s life and work? Some on the left in Italy and elsewhere have rushed to denounce the author as yet another deceitful apostate “like Orwell” (for his list of communist sympathizers delivered to the British Foreign Office during World War II), and therefore not worth reading or respecting, while more cautious critics see the denigration of Silone from the opposite point of view as just the latest in a series of recent attacks from the left on Orwell, Koestler, Camus, and other writers who turned against the Communist Party. Pugliese ultimately comes down on the side of those who believe that Silone’s work speaks for itself, and endorses Alexander Stille’s conclusion that the recent scandals “don’t diminish the power of Silone’s writings.” D. H. Lawrence once wrote that readers should “judge the tale, not the teller,” having in mind the difference between the complex artistic message embodied in a novel or poem and what was said outside the work by or about the author, but Lawrence’s dictum fits Silone’s case as well. To anyone who reads his novels and his journalism, it is perfectly obvious where he stood with regard to both fascism and communism, whatever compromises he may have felt obliged to make in his everyday life. As Pugliese shows (and as Silone himself asserted), he was fundamentally religious in his worldview—an “apprentice saint,” in the words of R. W. B. Lewis—who tried in vain to reconcile the secular promise of socialism with the transcendent vision of Christianity. He fell victim to the tragedy of his age. Caught between the hammer of totalitarianism and the anvil of twentieth-century reality, Silone, like so many of his peers, “sought in politics that which politics could not grant him.” Like other mortals, he made mistakes, lost his way, and sinned; but it is in, and for, his work that Silone will be rightly remembered, and that is why we still need to read him. Michael Scammell’s new book, Koestler: The Literary and Political Odyssey of a Twentieth-Century Skeptic, has just been published by Random House.